JNTUK M.Tech 2nd Sem Regular/Supply Exam Time Tables June/July 2018, jntu kakinada m.tech II semester end examination time tables 2018. 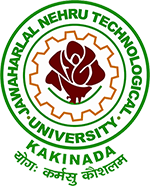 JNTU Kakinada has announced M.Tech 2nd Sem Regular/Supply Exam Time Tables June/July 2018. Students Can check their end examination time tables from official website, exams are going to conduct from 26th June 2018. For download official time tables, Please Visit the JNTUK official website or Respective colleges examination section/Notice board. When jntuk mtech 2SEM r16 reg exam results 2018 declared ?